All hands on deck! Practical parenting guidance is right here at your fingertips. The “What Can I Say?” Cards help you find just the right words or the perfect way to turn a tricky situation around when you’re in the thick of it with your kids. 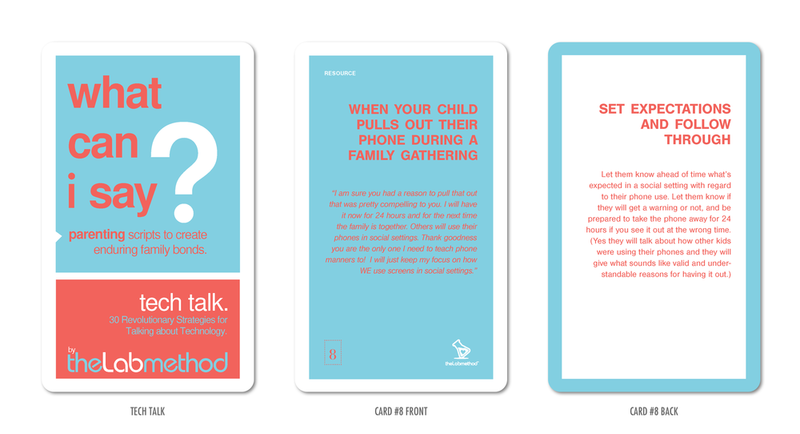 Our cards are ring-bound and easy to keep handy in the car or a purse for when you need a quick way to turnaround a chaotic parent-child moment. So instead of thumbing through a dense parenting book, get right to the point and with the help of the cards, peacefully help your kids get back in ‘the flow’ of life with you. Life Support: For Families Living with Epilepsy… 42 ‘nuts and bolts’ cards to help you get organized and stay organized as you learn to adjust, deal and live with epilepsy. Each deck includes 30 cards. This deck is currently SOLD OUT. Be the first to know about what’s happening at The LAB Method.